Foundation Housing is taking proactive measures towards our properties and tenants through the Capital Works program which was implemented on a larger scale after a successful pilot program in 2017. Under the program 12 properties have had kitchens, bathrooms, flooring and other aging structural features upgraded. In most cases Foundation Housing arranged for the tenants of the property to be temporarily relocated during the process. The proactive approach to identify and carryout improvements in existing tenancies is a departure from the existing practice of waiting until a tenancy is either vacated or the repair becomes urgent before works are carried out. Business Development General Manager Chris Smith says the Capital Works programs was created because the organisation was committed to improving the quality of homes for its tenants and ensuring compliance with the RTA as well as our contractual agreement with the State Government. But it also arose out of Foundation Housing’s values; “We care about our tenants and we want them to be proud of their homes and to enjoy living in them,” Chris said. “We wanted to make these renovations for existing tenants who have lived in the property for many years with good rental histories so they could enjoy a better standard of housing. 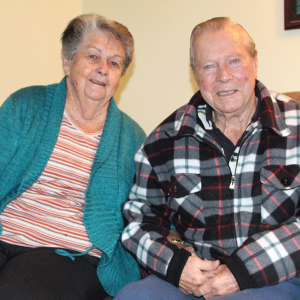 Retired couple Kenneth and Barbara have lived in their Tuart Hill unit for ten years. Before the repairs they worried about having people over due to the wear and tear of the flooring in the living room and kitchen. There was also limited bench space in the kitchen which the couple said made cooking difficult. Under the program they had their kitchen and bathroom upgraded and their flooring replaced with new laminate. Along with these repairs they also had their wiring checked by an electrician and had their ageing gutters replaced. The couple went for a holiday down south while the repairs were carried out and overseen by the Foundation Housing team to make sure everything had been successfully completed for them when they returned. Daryl was another tenant whose home was improved under the program. 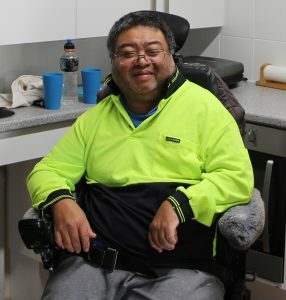 Daryl lives with cerebral palsy and had problems using the kitchen in his Belmont unit as he uses a wheelchair. Under the program he received a new kitchen, that better suited his needs by having extra space under benches for his wheelchair as well as lower overhead cabinets that are easier to reach. The flooring was also replaced with new laminate. Daryl says he is really happy with his new kitchen, as are his carers who are pleased he will find it easier to maintain living independently. Under the Capital Works program Foundation Housing will be conducting renovations every year.